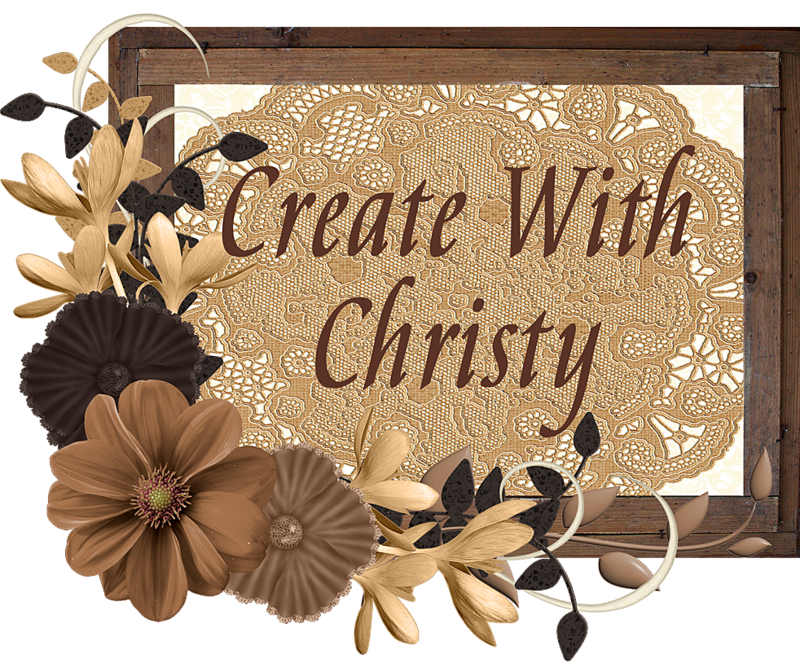 My plan is to start my 12 Weeks of Fall & Halloween Projects this week! I know, it's hard to believe it's time for them again! I will have a video for each project this year, so make sure to come back later this week (hopefully Wednesday or Thursday) to see the first project and video. In the meantime, I've got a vintage card to share with you. 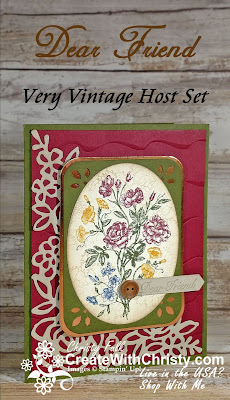 I made this using the host exclusive stamp set, Very Vintage. The only way you can get this beautiful stamp set is by either HOSTING A WORKSHOP, or by placing at least a $150 (before shipping & tax) order. If you click on the "Hosting a Workshop" link above, you can find out the different workshops I offer. 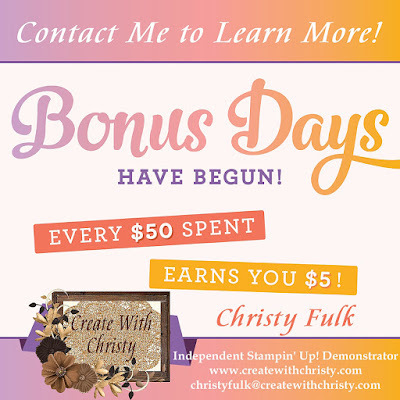 You don't have to live close to me to have one, but you do need to live the USA (per Stampin' Up! guidelines). 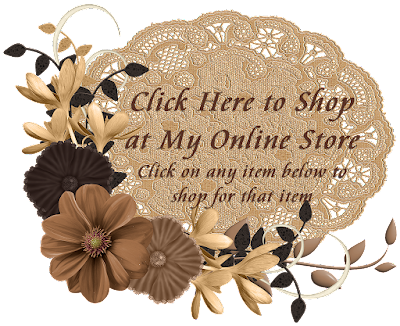 If you want to place an order, you can click the "Shop at my Online Store" picture below. 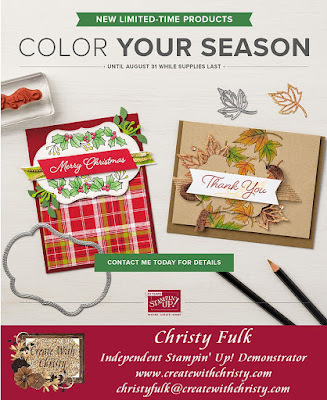 If you place a $150 order, one of the things you'll receive is an email with three $5 coupons from Stampin' Up! that you can use in September! 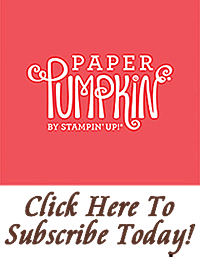 Make sure to check out all of the Stampin' Up! 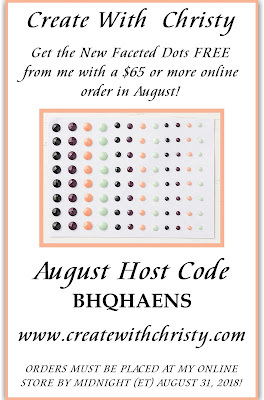 promotions and my August Giveaway at the bottom of this post before ordering. 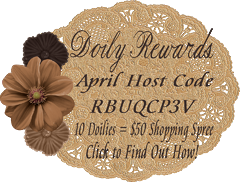 I also used the beautiful Springtime Impressions Thinlits, Ruffled Embossing Folder, and the Detailed Trio Punch. 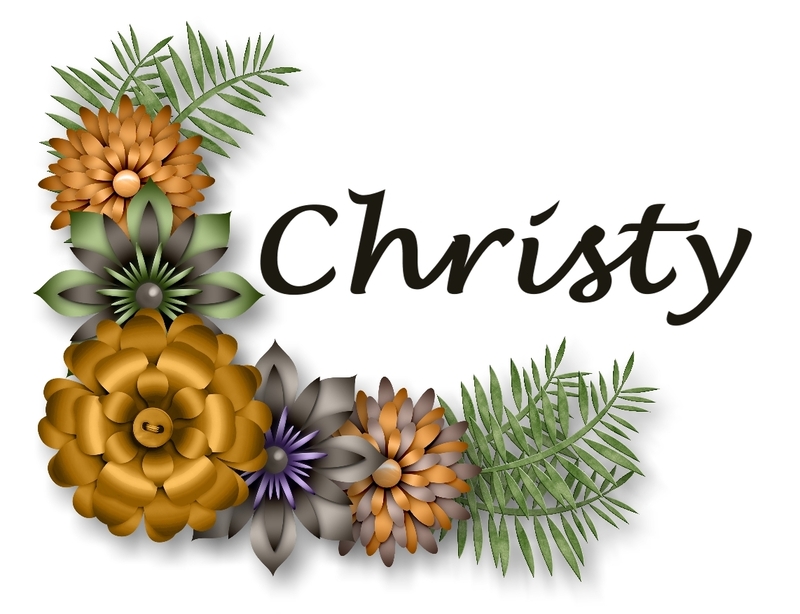 Emboss the Merry Merlot piece by running it through the Big Shot with the Ruffled Dynamic Textured Impressions Embossing Folder, using the following sandwich: (starting from the bottom) Big Shot Platform, embossing folder with cardstock inside, and Standard Cutting Pad. Die-cut the large floral die from the Springtime Impressions Thinlits Dies out of the largest Sahara Sand piece. Put some glue onto the edges, and some of the inner parts, of the back of the piece with the Fine-Tip Glue Pen. Attach it to the bottom, left corner of the embossed layer. Fold the largest Mossy Meadow piece in half (fold on the left) to form the card base. 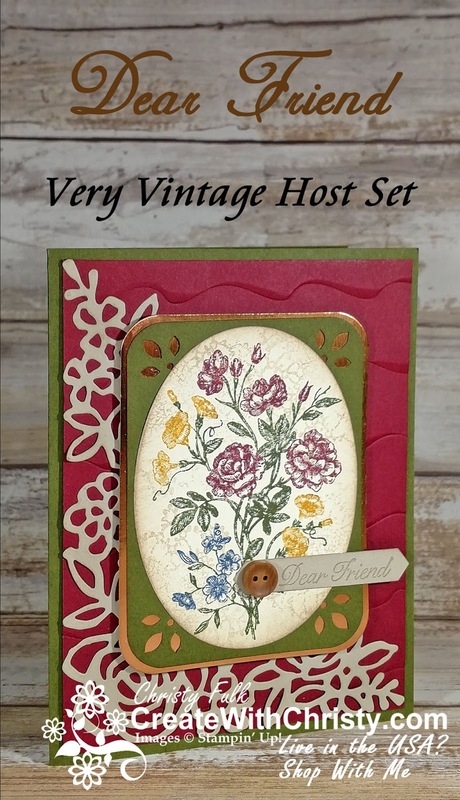 Attach the embossed piece to the center of the card front. Ink the large floral stamp from the Very Vintage Stamp Set with the following markers: Merry Merlot, Mossy Meadow, & Night of Navy markers from the Neutral Collection Stampin' Write Marker & the Crushed Curry marker from the Regals Collection Stampin' Write Markers (see picture for color placement). Huff onto it (breathe on it) to remoisten the ink, and then stamp it onto the middle of the Very Vanilla piece. Die-cut the flowers out with the largest oval die from the Layering Ovals Framelits Dies. 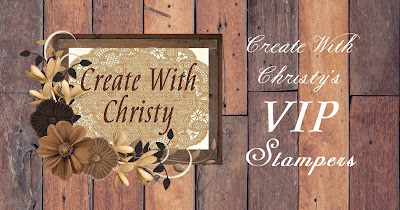 Using the stamp-off technique (ink stamp, stamp onto scrap piece of paper, and then onto the Very Vanilla oval), stamp the doily stamp all over the piece using the Crumb Cake Classic Stampin' Pad. Sponge the edges of the oval with ink from the Crumb Cake ink pad. Punch the detail part of the Detailed Trio Punch into all four corners of the Mossy Meadow mat piece. Then, punch all of the corners with the rounded part of the same punch. Sponge the edges of the piece with the Crumb Cake ink pad. Punch all four corners of the Copper Foil Sheet piece using the rounded part of the same punch. Attach the Mossy Meadow piece to the center of the Copper Foil Sheet piece, and then attach the floral oval to the center of the Mossy Meadow piece. 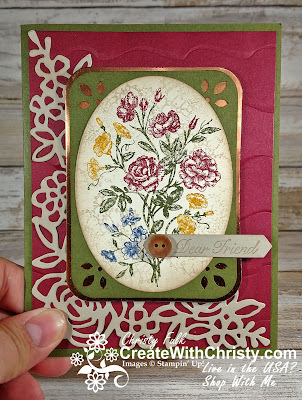 Attach the whole thing to the center of the card using Stampin' Dimensionals. 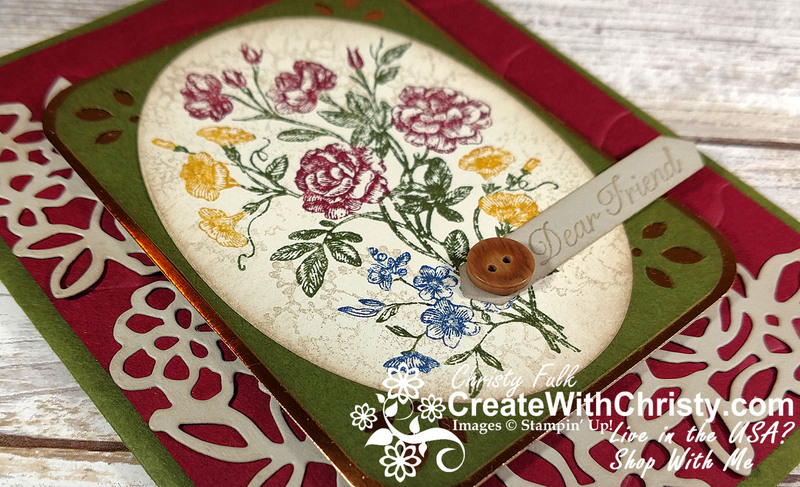 Stamp the "Dear Friend" stamp onto the right end of the smallest Sahara Sand piece using the Crumb Cake ink pad. Punch the greeting out with the Classic Label Punch, making sure the greeting is on the right end of the label. Attach the label to the bottom, right of the oval piece (see picture for placement). Attach a small button from the True Gentleman Buttons using a Mini Glue Dot.